Developing offices which place people before profit, using sustainable technology, delivers a better business outcome in the long term, says Greenlite Group. A modern office, with people at its heart, is the most valuable investment business today can make. That’s the view of Bob Hall, Managing Director of Greenlite Lighting Solutions. The company recently moved to new office space, which was designed specifically with its employees in mind. “At Greenlite, when we think about office space, our key objective is, how can we use efficient lighting technology to improve our people’s working lives, and build a more valuable business in every way,” says Hall. His approach is based on this simple premise; treat workers well, offer them comfort, responsibility and respect in the workplace, aligned with a technologically sustainable, inspiring workplace, and watch the company prosper. Bob Hall believes too many firms still use archaic office spaces. Lights have no individual switches, nor any ability to lower or control lighting levels. Heating control doesn’t exist; windows can’t be opened. Stuffy air recirculates, computer screens pump out glare. What does human centric lighting in today’s office offer? Human centric lighting is light that seeks to improve health and happiness. A paper by Lighting Europe; ‘Human Centric Lighting: Going Beyond Energy Efficiency,’ predicts the future. ‘We expect that the technology split for human centric lighting will evolve until 2020, with LED taking over a strong share beyond 90% from conventional light sources,’ it reveals. In terms of practical steps, Greenlite offers its employees individual lamps on individual desks. Workers can choose from soft, hard or natural settings to suit their mood and the task at hand. Further, such options minimise glare caused by harsh, uncontrollable ceiling lights shining onto PC screens. Importantly, this gives staff individual control over their environments. And of course, LEDs are standard in such desk lamps. Greenlite’s office roof features an array of glass panels which allow natural daylight in. 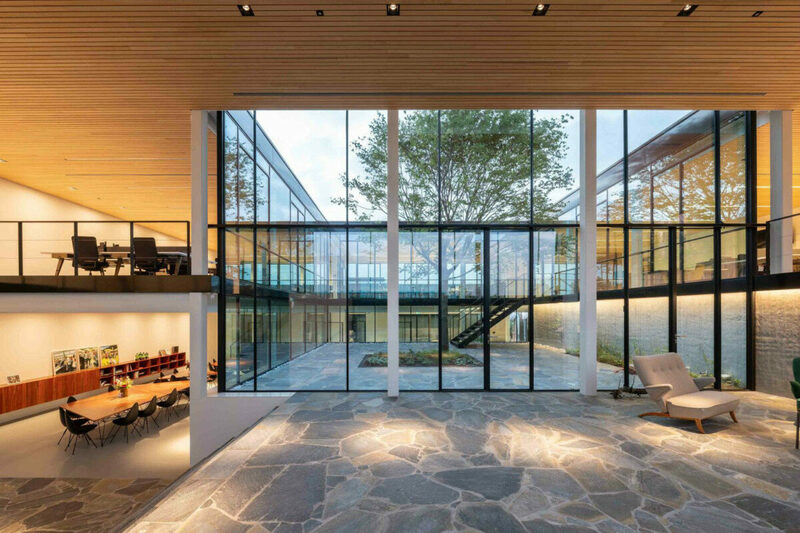 To complement this, the ceilings of each floor include opaque glass panels too, these help the light from the roof to shine through to both floors of the office. The ceilings do of course still contain some LED panels, for use in the wintertime or on cloudy days. There is concrete evidence behind the benefits of this open plan design, which maximises window square footage and also uses bespoke glass dividers to share light and space. Since we opened we have hardly used any artificial lighting in the ceiling in any of the offices. 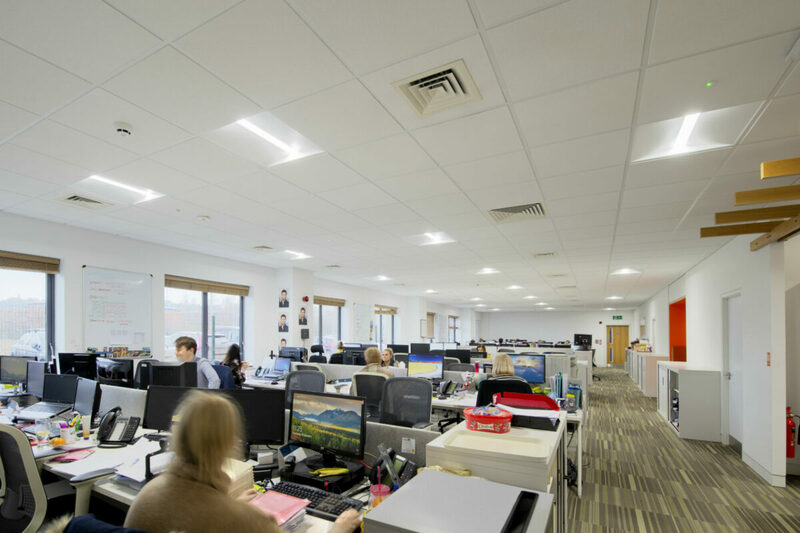 Greenlite’s office also uses absence sensors, which can be calibrated to a number of options to turn down, minimise or completely turn off all lighting. Working alongside these, a light switch on the wall means lights don’t just come on when staff enter a room, which wastes energy if they are not needed. Advanced ventilation controls are also in place, recirculating air and minimising the stuffy, dust filled air computer fans can create. The air conditioning system includes additional fresh air intakes at every cassette. Lighting is crucial to a human centric office space… Simply placing LEDs within a light-harsh, stuffy environment isn’t enough. 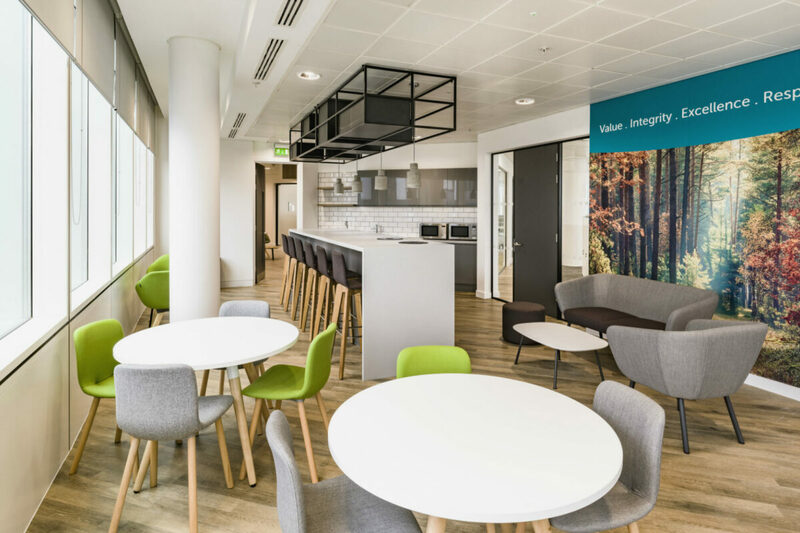 As a company which holds Investor in People certification, Greenlite’s offices also feature an onsite gym and shower room, enabling people to walk or cycle into work far more easily, and to exercise during lunch hours and before or after the 9 to 5. “Lighting is crucial to a human centric office space, but as crucial are the additional add on elements,” says Hall. “Simply placing LEDs within a light-harsh, stuffy environment isn’t enough. Greenlite, and Bob Hall personally, will be delighted to show interested parties around their sustainable workspaces. To get in touch visit Greenlite Group. Enjoyed this article? Find out more about light here.